Dark circles on face could be irregularities. The dark circles on your face may be due to a skin pigmentation irregularities, sun damage or age. Most of the procedures to remove dark circles and irregular discoloration are invasive treatments that require medical care. Insurance typically does not cover procedures performed for cosmetic reasons. Contact a dermatologist to get a chemical peel. A chemical peel, also referred to as chemosurgery, works on the same principle as paint remover, in that it removes the top layer of skin where the discoloration appears, says the University of Maryland Medical Center. New, even-toned skin then replaces the old skin. Risks associated with the procedure include infection, scarring or additional discoloration. Recovery from a chemical peel takes about a week. Remove deeper layers of skin with dermabrasion. 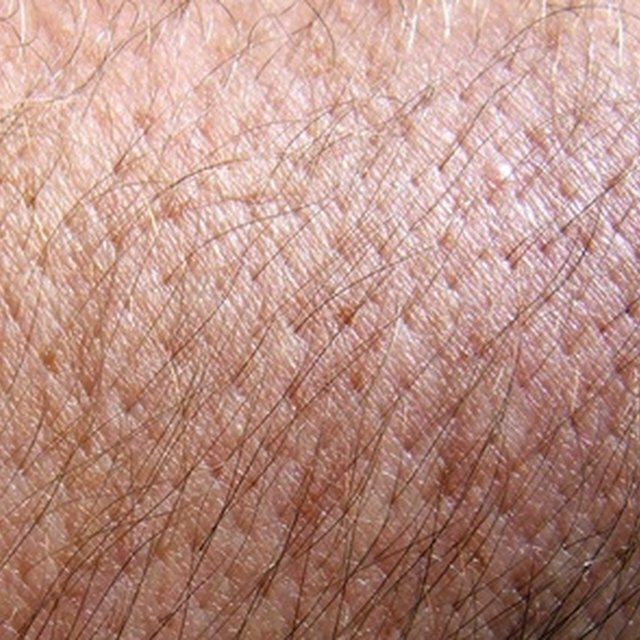 Dermabrasion is usually more effective for patients with darker skin, reports The University of Maryland Medical Center. Instead of using chemicals to remove the top epidermis, dermabration utilizes an instrument to sand off the discolored areas. The same risks and recovery time apply to dermabrasion as for a chemical peel, but typically up to five or six sessions are required for the best results. Utilize laser resurfacing to completely eliminate the dark circles. Dark spots can be reduced by as much as 50 percent with one laser treatment, says the American Association of Dermatology. Side effects can include additional discoloration, although there are fewer risks involved in laser surgery than other skin rejuvenation procedures. Treat dark circles under the eyes with lifestyle changes before resorting to surgical treatments. Drinking sufficient fluids during the day can hydrate the sensitive skin that often darkens under the eyes when dehydrated. In addition, seven to eight hours of sleep is often all that's needed to eradicate the dark circles. For people under the age of 30, a single chemical peel session is usually all the treatment required to remove dark patches of skin, says the University of Maryland Medical Center. Older patients usually need more sessions and multiple procedures to see the same results. A diet low in iron and vitamin C can cause dark circles under the eyes. Smoking is another culprit that creates the discoloration.